Ray Kloss is the Director of Marketing for Cisco. Previoulsy Head of Marketing for SAP Australia and New Zealand which he joined in June 2005 after many years’ experience on large software projects in roles including sales, marketing and delivery across North America and the Asia Pacific. Kloss is responsible for the company’s brand investments, pipeline development and customer engagement. With 30 years’ experience in the IT industry, Ray has been influencing the purchasing preferences of thousands of B2B customers across channels, industries and geographies with SAP, PeopleSoft, HP and IBM. Ray has a leadership role in multiple global Marketing transformation projects, led by his focus on Design Thinking toward customer-centric solutions. 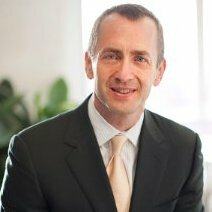 Before coming to SAP, Kloss was responsible for Product and Industry Marketing for PeopleSoft APJ. Prior to this he held multiple roles at Hewlett Packard, including marketing manager for online services, business development for HP’s ANZ SAP practice and sales director of HP’s Asia Pacific E-services Division. In his earlier career Kloss worked with HR, Payroll and CRM at Lend Lease, ERP Channels at IBM and ERP implementation at General Motors.